The septic tank is the most important part of the septic system. If it malfunctions, you’re in for a terrible experience. Not to mention the amount of money you would need to shell out to have your system replaced. This is why you need to take note of the schedule of maintenance for your septic system. You don’t have to get your hands dirty… Leave the dirty work to our team of experts. There’s a horrendous odor coming from outside or even inside your home. 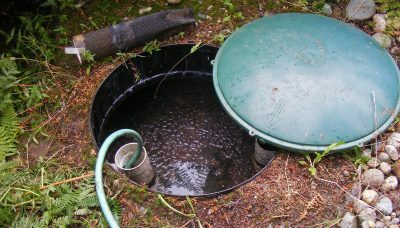 You’ll most likely notice the smell around the area surrounding the septic tank. Lucky for you if you have observed it right away. There are some homeowners who complain about the smell from their bathroom drain, but don’t know what it means. That it’s time to pump the septic tank. That smell is untreated wastewater. Septic Pumping is going to be the solution. If your toilet doesn’t seem to flush like it should or the water on your drain and sink is somehow draining too slow. Normally, wastewater gets into the tank, with the solids settling to the bottom. When the sludge layer at the bottom gets higher than about 30% it’s time for septic pumping. It could cause your tank to malfunction. If the tank becomes clogged it’s very difficult for the wastewater to drain. To resolve the problem, get the tank pumped. There’s a pool of water on an isolated area of the lawn, usually around the absorption field. Remember that the drain field is where the wastewater stops after it has been treated inside the tank. When the tank is having some issues or has become full, the wastewater will start to overflow and create a mini-pool on your field. Ideally, the septic tank needs to be pumped every three to five years, depending on factors like the number of people in your household and the amount of water being used every single day. If you fail to have your septic system checked regularly, you’ll end up replacing the whole system, and it could cost you thousands! 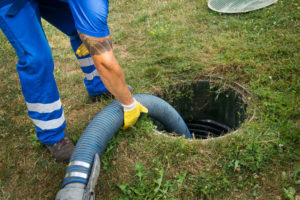 At Beaumont Septic, we have skilled technicians who know exactly what to do to ensure that your septic system remains to be in good running condition. Call us today and schedule an appointment. Wastewater isn’t just water per se. If you own a restaurant or just does a lot of cooking, your kitchen will have more than just water for draining. Fats, oil, and grease will most likely mix in with water while you do your job. Since oil and grease aren’t dense, the tendency is for the substances to float up the top. To “catch” these substances, a grease trap is installed using “baffles.” Once the baffles have become too heavy and thick with fats and oil, it needs to be cleaned up. Being in the food service industry means that you have to go an extra mile to make sure that your preparation and cooking area is clean, sanitary, and workable. To keep your business running, you also to need to guarantee your customers that there’s nothing to worry about. One of the best ways to do this is to create a schedule for grease trap maintenance. Keep in mind that it’s very important that your sinks and drains aren’t clogged up. Call us before it happens. There are several commercial grease trap types. There’s the automatic cleaning system for oil and grease; big concrete gravity interceptors, and the regular grease traps which are essentially small hydro-mechanical grease interceptors. Whatever grease trap type you have, we know what to do and how to deal with any issue that your kitchen may have. At Beaumont Septic, we are proud to say that decades of experience have honed us to become one of the best in the septic service industry. It’s our job to get dirty. It’s our commitment to getting your establishment all cleaned up. We are always excited to meet new clients and show them what we’ve got. Call us now and we’ll tell you about our secret! You may think they’re unimportant and undeserving of any attention, but the grease interceptors actually take a huge part in the success of your business. Being involved in the commercial food industry means that you always to make sure that your drains and sinks are in good working condition. That’s where the grease interceptor comes in. What the Grease Interceptor Does – The grease interceptor is responsible for trapping and capturing substances like fats, oil, and grease before they enter the sinks and get down the drain. During food preparation and cleaning, grease and oil are usually mixed in with water. These substances aren’t as dense as water so they just float to the top. Basically, the grease interceptor is placed between your kitchen’s drain lines and the sewer line pipes. Grease interceptors may be installed indoors just right the sink, or it can also be done outdoors whether underground or above it. For installation purposes, you have to determine the volume of water that you are using. Unremoved fats, oil, and grease can block your sewer line pipes. Over time, you’ll notice a horrifying smell coming from your sinks and drains that have become all clogged up. Once this happens, bacteria will thrive and it will no longer be a healthy environment for your business. Your establishment could get closed down anytime soon. The local government could fine you for this. With decades of experience, we believe we have the right tools and skilled technicians to handle the job. We abide by the standards and we provide quality and professional work for your septic needs. Call us today and we’ll show you how it’s done. Whether you follow proper maintenance schedule or not, there will be instances when the sewer pipelines will get all clogged up due to unseen solids and debris. While the standard pumping works for some, you might encounter issues that require more than just the regular pump. When nothing seems to work, a hydro-jet line cleaning just might be the only solution. How Hydro Jet Line Cleaning Works – Hydro jet line cleaning uses high-pressure water to clear out blockage or debris within the sewer pipes. It is basically initiated through a plumbing opening that’s called a cleanout. The whole cleaning set-up included a large water tank, a high-pressure hose, and a high-strength nozzle. A cleaning is responsible for pressurizing the water inside the special hose so that water can be sprayed out at a special pressurized and flow rate. Cleaning through hydro jet line works upstream against gravity so that any solid build-up can be easily cleared out down the drain. 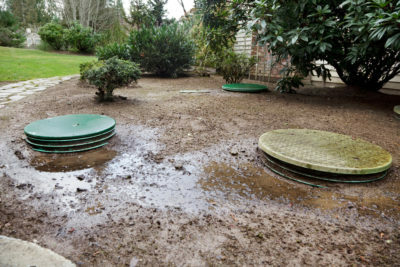 Why Choose Us For Septic Tank Maintenance? If you’re concerned that even after all the plumbing and cleaning, the drain just doesn’t seem to work right, then it’s time that you get the help of experts. Hydro jet line cleaning may just be the answer to your septic concerns. At Beaumont Septic, we’ve heard it all, seen it all, smelled it all. Decades of experience gave us the reputation that we enjoy now. Our dedicated team of technicians have the right knowledge and skills to determine what’s going on. More importantly, they put customer satisfaction on top of the list. We want to help you more than anything else so if you’re having trouble with your pipes and drain, give us a call and we’ll schedule an appointment. Knowing when to replace your septic system does not happen overnight. Since the septic system is located underground, you may not be able to determine when it needs to be cleaned, pumped, or replaced. Unless of course, you’ve been keeping tabs on the maintenance schedule. However, despite being a responsible homeowner, there will still be instances where the entire system needs to be overhauled due to circumstances beyond your control. The best way to know this is to get the services of a septic system expert. 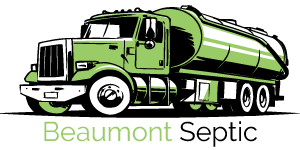 Beaumont Septic has trained technicians and skillful hands to take care of your needs. Decades of experience gave us the knowledge to determine the root cause of the problem without compromising your time, money, or availability. If your system needs replacement, we’ll let you know right away. Foul smell coming outside or even right from your drain or sink. You hear weird gargling noises from the plumbing. Your toilet flush seems slow or you have difficulty flushing. Another reason would be your sink doesn’t drain as fast as it should. Typically people can easily tell if the toilet or sink take longer to operate. Now if you have overflowing water or wastewater coming out from your bathtub, you should call us immediately. Everyone wants yard-of-the-month, but a single suspicious green grass patch around your drain field? Septic Repair or Septic Replacement? Once you notice the above warning signs, it is always best to have the septic system inspected by the experts. Remember that a new system installation could cost you not just hundreds but thousands of dollars. However, if your septic system is continuously failing, there’s nothing better to do than to have it replaced. We don’t want to compromise your health. We know you don’t want that, either. We treat our clients with passion and compassion. With our competitive rates, we’ll gladly help you out in all the ways we can. We’ll find a way to work within your budget without compromising your needs. Contact us for inspection and we’ll get to the bottom of the problem as soon as possible. Call us before it’s too late. Does your toilet fail to flush properly? Does draining your sink suddenly became a tedious job? If you have experienced these and more, then there’s a huge possibility that your septic system needs some repairing. Depending on the cause of the problem, you may need to come up with a decision, and fast. Any problem on the septic system can create a humungous health issue for you and your family considering that as soon as wastewater starts to overflow, it could contaminate your ground and surface water with harmful bacteria and other dangerous substances. Any warning sign should prompt you to contact a professional septic service provider. There are basically a lot of causes as to why your septic system is acting up, but only an expert like Beaumont Septic can determine what the real cause is. With decades of experience, we know when it’s time to have your septic system replaced. We also know if it only needs to be repaired. What causes issues on the septic system? Let’s be honest here, folks. The septic system is something that we don’t see every day so if there’s a problem and we don’t see it, how do we deal with the issue, right? 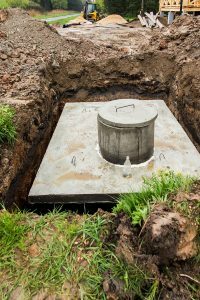 Unless, of course, you’re a responsible homeowner who maintains a maintenance schedule, there’s no way you can determine if the septic system is suffering. Until the problem starts to manifest. Some breakups are normal, especially if the septic system has been around for decades. Solid buildups and harsh chemicals coming down the drain can also cause the septic system to malfunction. Most of the time, the tank just needs the usual pumping. We do that, too! But if something needs to be repaired inside, we know what to do. We are not like any other septic service companies out there. We will inspect your septic system, give you the diagnosis, and provide you with a list of recommendations. Replacing the whole system is costly and we value your money just as we value you as our client. Maybe you just got a broken pipe? Or an isolated case of tank clogging? Whatever the problem is, we’ll see if we can have it repaired first. Call us now and let’s talk! Whether you’re buying a home for the first time or you just want to have your present septic system checked out, an inspection is necessary to ensure that things are doing great underground. 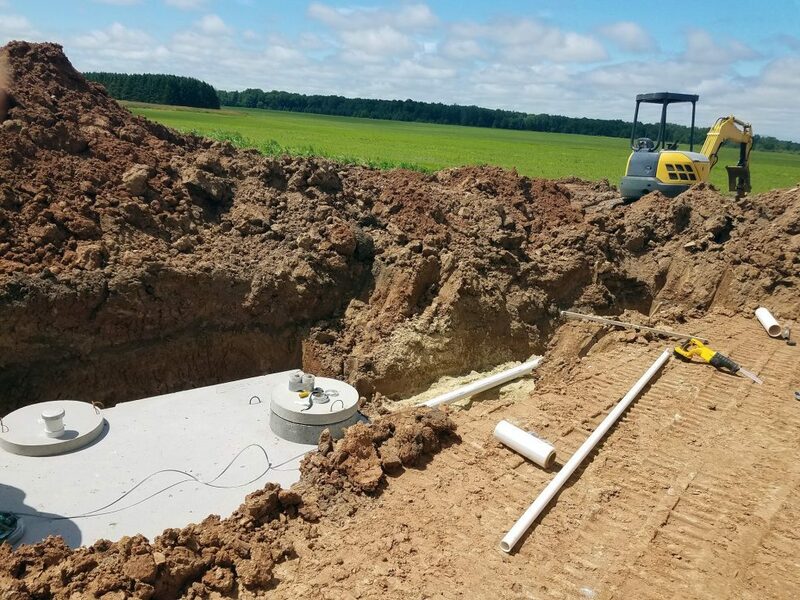 At Beaumont Septic, we also specialize in septic inspection complete with a detailed report on the state of the septic system, and recommendation as to the repairs needed. Basically, we do visual and full inspection of your septic system. During the visual inspection, we check out if the toilet is working properly, if there are any visible leaks on your fixtures, or if the drain and sink have difficulty depleting the wastewater. This is a good start in identifying whether there are issues on your plumbing and septic pipe lines. 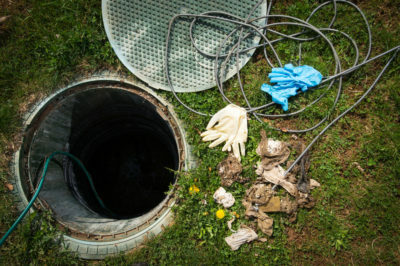 For the full inspection, we’ll do a more detailed process that involves opening up the septic tank to detect every possible problem that your septic system may be suffering from. We’ll do this before repair becomes too expensive to handle, and way before any replacement should be considered. What You Can Expect – During the inspection process, we’ll do septic pumping on your tank to clear out any solid buildup first. We will ask you some questions, too so it would actually make the job easier for both of us if you’ll be present during the inspection. That way you can also be aware of what needs to be done or repaired. We won’t take much of your time. Call us now and we’ll schedule our visit on your convenient time. We have years and years of experience that has made us become one of the most sought-after septic service providers within the area and even outside the locality. We understand every client’s predicament and we will solve it to the best of our abilities and skills. we commit ourselves to provide our clients with quality work coupled with excellent customer satisfaction. We have made a huge difference in the lives of the people around us. We can do that for you, too. We take calls 24/7. Call us now if you need a septic service near me and we’ll show you how it’s done around here.